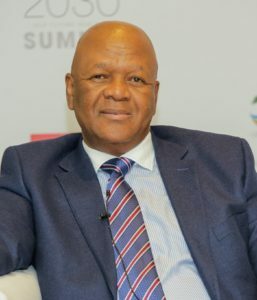 Xolani Mbanga, the CEO of the Energy Intensive User Group (EIUG), has written an open letter to Jeff Radebe, the minister of energy, requesting the publication of the integrated resource plan for public comment. The EIUG, whose members collectively consume approximately 40% of South Africa’s electricity, believes that energy is the engine for our country’s economic growth and that it is a key enabler to alleviate poverty, address inequality and reduce unemployment in South Africa. An updated Integrated Resource Plan (IRP) for electricity is a vital document in the larger energy planning landscape. It is crucial that the IRP provides the least-cost, unconstrained Base Case for electricity, as well as any additional policy adjusted scenarios. The EIUG understands that the IRP was intended to be a dynamic plan that would be updated every two years to ensure inclusion of the latest technology learning rates, developments in the power sector, etc. The absence of an up-to-date IRP hampers efficient decision-making and planning across the whole economy, and by our member companies. The process followed under the guise of public consultation in late 2016 and early 2017 on the draft IRP2016 can at best be described as inadequate. Further, the document was incomplete in several material respects. The EIUG, along with other industry associations, organised business, civil society and many other groups, has repeatedly called for an updated and comprehensive IRP. This has not transpired. The EIUG notes with concern a statement published by Engineering News on 10 April, by Department of Energy Director General, Thabane Zulu: “that it would not be long before the final document was published, as public consultation on the IRP update had taken place in 2016 and 2017.” As stated above, the process cannot be considered to have been proper and full public consultation. Zulu is further quoted as saying that the department is busy with engagements as requested by Cabinet, however the EIUG has not been part of nor made aware of any such engagements with other key industry associations, organised business or civil society. Therefore, the EIUG formally requests that the Department of Energy urgently publish the updated draft IRP2016, additional scenarios and all accompanying data for further review and full public consultation. EIUG members contribute approximately 20% to South Africa’s GDP and employ over 680 000 employees across multiple sectors, including mining, quarrying, manufacturing, electricity, transportation and water. The post Energy Intensive User Group calls for publication of new IRP appeared first on EE Publishers.